Exclusive to GAME, check out the first episode of four developer series videos for Star Wars: Battlefront. Below is the Gameplay Screenshot showcasing both the 3rd and 1st person view. Star Wars: Battlefront has been revealed with an incredible trailer that uses in-game assets, and according to the team at DICE as well as to people who have watched actual gameplay the game graphics look identical to those seen in the trailer. 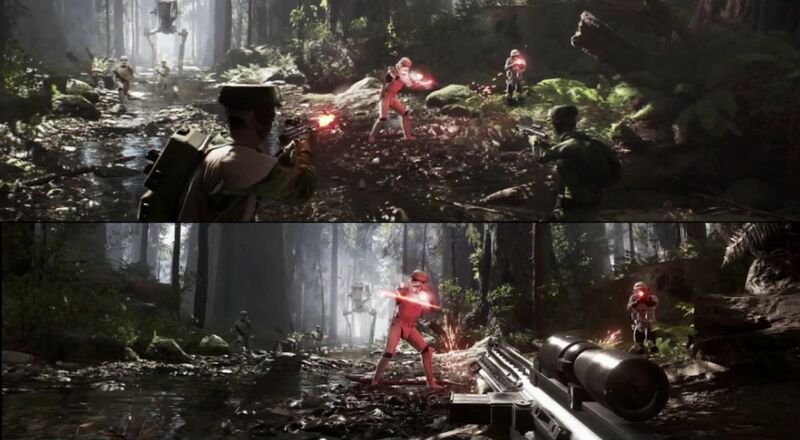 As can be seen in the screenshot above, previous reports were right as the gameplay actually appears quite similar to what we saw in the trailer. 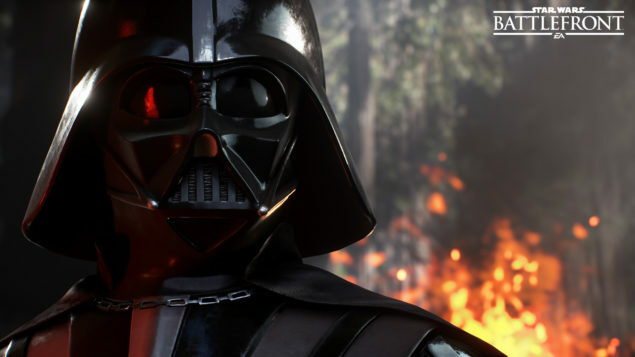 Preorders for Star Wars: Battlefront are available for both the Standard and Deluxe versions. As producer Jesper Nielsen stated, gameplay will come in due time, so it would be safe to assume that these development diaries will lead up to that. During the Star Wars: Battlefront media briefing at the Star Wars Celebration event, it was revealed that it will be the first game to use Dolby Atmos. Only the PC version of Star Wars : battlefront will support the setting, as the PlayStation 4 and Xbox One versions are not supported. Dolby Atmos was developed in the Dolby Labs and announced back in 2012. It uses 128 audio tracks to create a virtual sound bubble around the listener, immersing them in 3D sound. “We’re focusing on epic planetary battles for this game,” he said. Star Wars: Battlefront will be released on November 17 2015 for the PlayStation 4, Windows PC and Xbox One. We will bring you any new information as soon as it becomes available. Be sure to check out our previous Star Wars: Battlefront coverage as well as the latest teaser trailer for Star Wars: The Force Awakens, which opens in theaters on December 18. Be sure to check out our previous coverage on star Wars : Battlefront for more information about the game, here and here.